19 Year Old Livingston Man Charged with Aggravated Sexual Assault of a Child, LIVINGSTON, January 11, 2014 - The Polk County Sheriff’s Office conducted an investigation into allegations of sexual abuse of a 12 year old female. The child was interviewed by a Forensic Interviewer at Childrenz Haven. The case was presented to a Grand Jury and a warrant for Aggravated Sexual Assault of a child was issued on Chance Wade Hudson, 19 of Livingston TX. On Tuesday, January 7, 2014 Corporal Terri Mayer arrested Hudson. 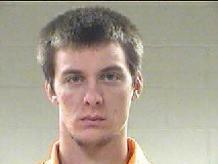 Hudson remains in the Polk County Jail with a $50,000 bond set by Justice of the Peace Pct. 4 Steve McEntyre.